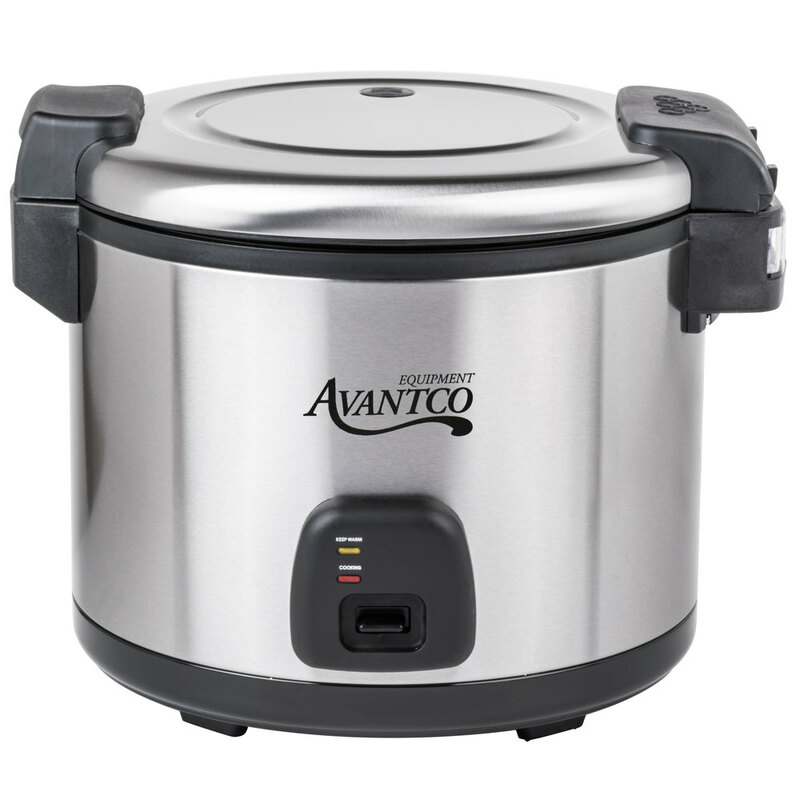 Cook up hearty portions of rice for your authentic Mexican restaurant, Asian bistro, or on-the-go sushi counter with this Avantco RC60 60 cup (30 cup raw) electric rice cooker / warmer! 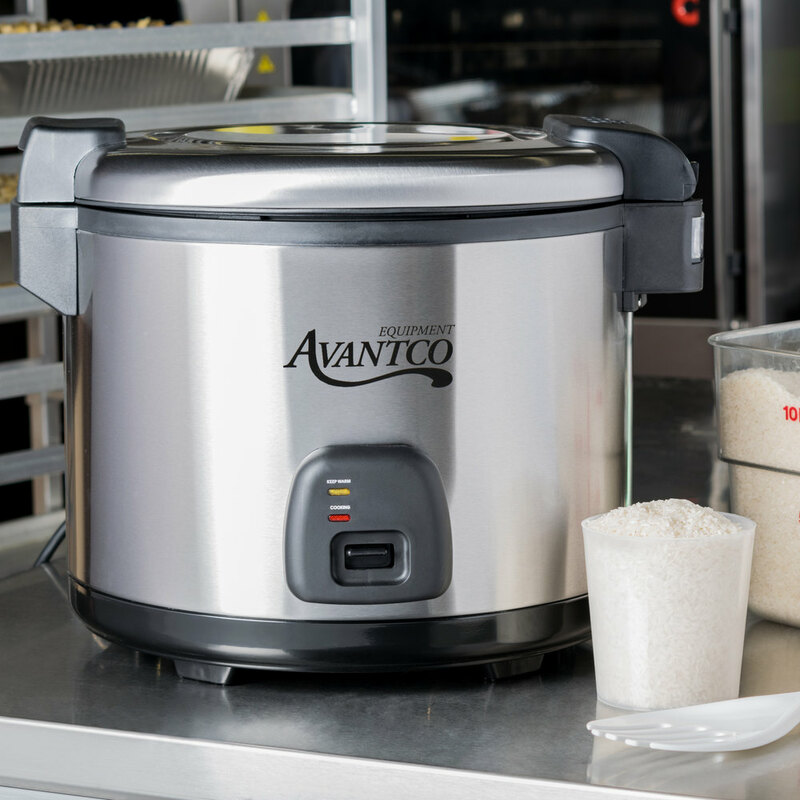 Capable of preparing up to 60 cups of cooked rice in just 26-35 minutes, this rice cooker is designed to meet the demands of your busy operation. 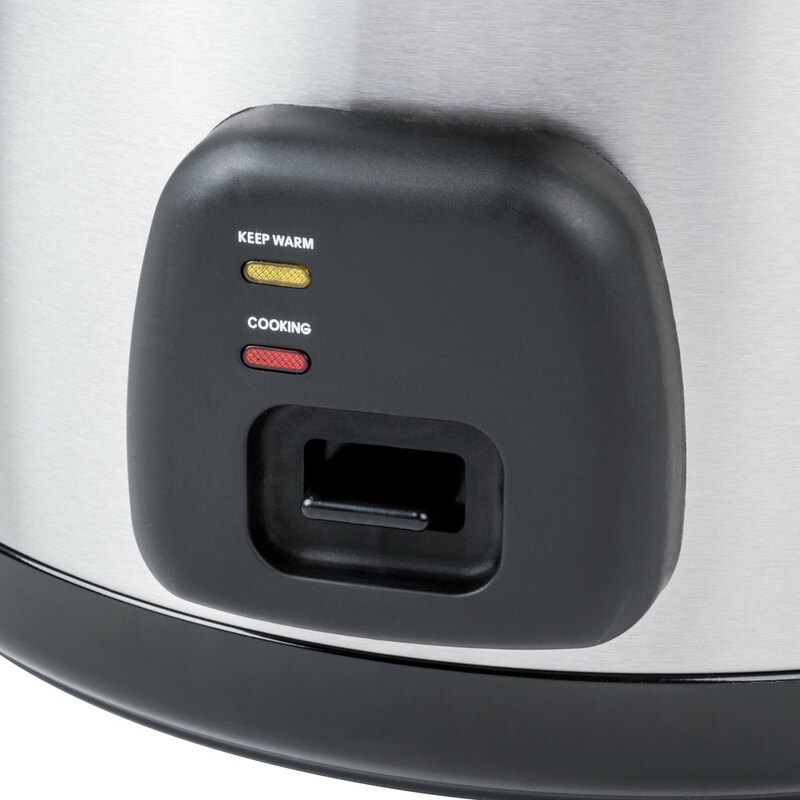 This rice cooker automatically switches from cooking to warming mode once cooking is complete, so you can be sure that your freshly cooked rice stays at the perfect temperature for your guests. Plus, its tightly sealed hinged lid locks in moisture to ensure perfectly cooked rice every time. 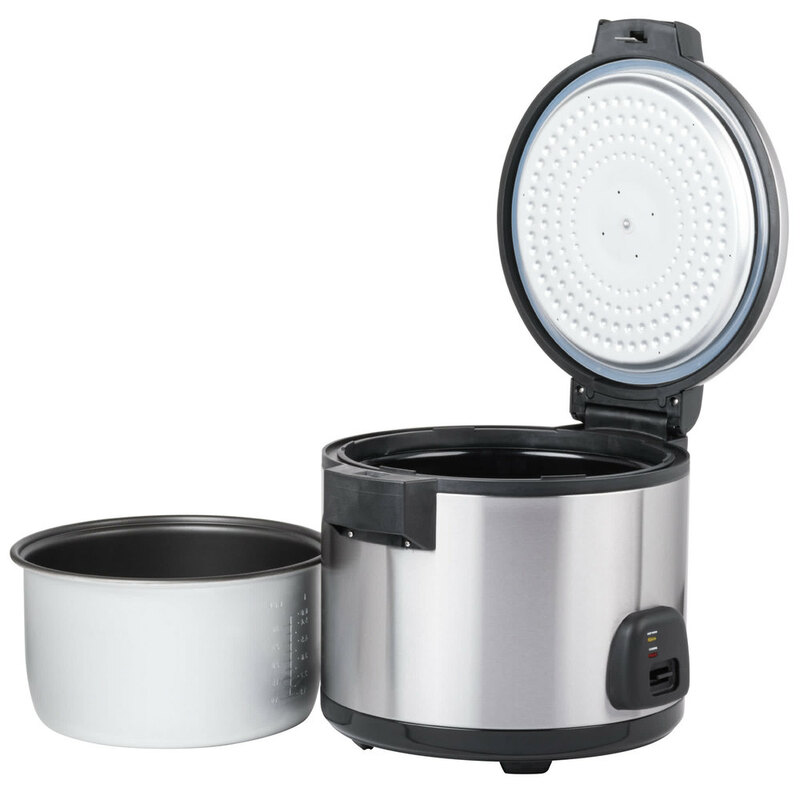 Featuring stainless steel construction and removable non-stick aluminum interior pot, this rice cooker offers long-lasting durability and easy cleaning. 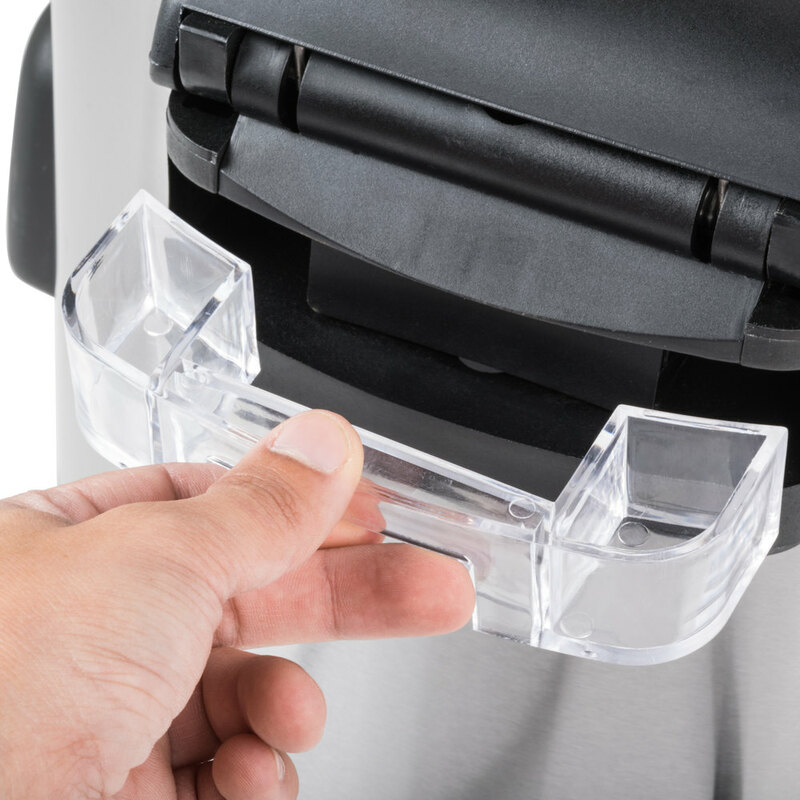 The included clear measuring cup provides quick, accurate portioning of dry rice into the pot, and the rice paddle allows you to efficiently mix, scoop, and serve your rice while preserving its consistency. A 120V electrical connection is required for operation. Our chefs love these rice cookers. They work great and have been a big asset. Easy to clean and reuse and very durable with constant use.